Many founders view the panacea to securing funding from venture capital investors in the fundraising process as getting the first meeting; once they are in they will win! The reality in most scenarios is different, as what you do when you are in the room, and how you happened to get there (pitch deck) have already contributed to your odds. Let me quickly touch on two fallacies here to illustrate the preceding paragraph. What do you think is going to happen when you are in the hallowed ‘room’ and the VC is already not interested? Not much other than a more developed relationship, which is of course not bad, but there is only so much time for that. In many sectors, I have already developed a thesis of what and when I want to invest in something, so selling me isn’t going to change anything. You are spending your time with the wrong investor and you could spend that time gaining more traction, which would change your outcome with me in fact! How I came to know about your business does have an impact. If you got one (or ideally more than one) referral to me from someone I trust and has made useful introductions before (Many people send bad deal flow) then I will take everything more seriously. If I already know something about your business, and have had the chance to talk to a sector expert or research your business beforehand, then the meeting will be far more productive (read potentially more successful). I have been debating and analyzing the ‘end-to-end’ process of investing in companies, to not only make better decisions and offer a better experience to founders (e.g. How to respond faster), but to be more efficient and effective in the use of time. Charles Hudson over at SoftTech just they about why he doesn’t generally look at decks before meeting, and whilst there are valid opinions, which I agree with, my view results in the opposite position. I must emphasize that the views here are entirely my own and do not represent that of my partners. In addition, this is the current state of my thinking, which as ever is open to be stand corrected. To founders, who I deeply respect, don’t find a reason to take offence. You need to have a thick skin and understand raising money is a game to be played to the rules of those who are setting them, and knowledge is power. Let’s dig into decks first, as once we agree on what they are, are for, do and don’t do, we can better form a view as to whether they should be a prerequisite for a meeting. A pitch deck is a short (10-20 slides) PowerPoint presentation (NOT a Word doc), which succinctly summarizes your business in order to communicate to investors that they should consider investing in you and ‘invest’ time to evaluate doing so. To be clear, this should actually be a PDF, converted from PowerPoint. It prevents system error and people changing your slides etc. What are pitch decks for? Decks are a ‘Teaser’ sales document to get you on the path to investment, nothing else. 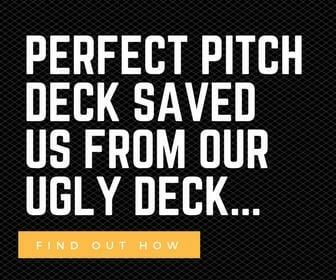 It is absolutely imperative to understand that there are different types of pitch decks for different situations and to answer different questions. Situation: These are read primarily without founders. Form: There are typically more words per page and there are more slides. Objective: Founders are seeking to educate as well as communicate here. Number/variances: There will be multiple. 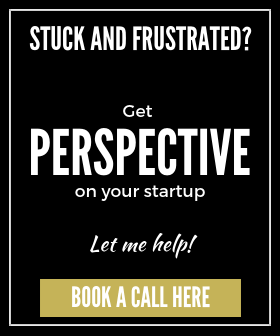 Firstly is a teaser to get a meeting (I said it), secondly to support due diligence and thirdly to support any ‘nagging’ questions founders may seek to ameliorate (Such as details on their NPS to show customers love them). Situation: These are presented by founders in person and/or on a call. There are more bad pitch decks than not. For the purpose of this discussion, I will talk specifically about the one I would like to receive before having a meeting in the fundraising process. Problem: What is the fundamental problem you are solving? It needs to be a real one that a lot of people have and are not having solved. Solution: How are you fixing this problem and how are you approaching it? Product: Show me pictures which illustrate use cases and benefits. Your product these days needs to be polished. Marketing: Simply put, how are you going to get big? If your CAC is greater than your LTV, that is good to know too. I need to see that there are scalable, repeatable channels for you to grow. Traction: “Up and to the right.” What milestones have been achieved, what is the stage of the business? Numbers: What are your high-level numbers? I want to know how big you are already as it is linked to your valuation and stage. It is not because I want to get confidential information (See above regarding valuation exercise). Funding and application thereof: How much money are you looking for, how long does it last and broadly what are you going to use the money for? Hopefully, you will have noticed that I haven’t asked for details of the ‘secret sauce’ so I can sell it to the Russians. This is high level. Also, if you are reaching out to an investor you should already be willing to trust them, otherwise stop spamming. What do investors fundamentally learn from decks before a meeting? So what are the main reasons why I want to have a deck before a meeting? Do I want a meeting: If I don’t actually want to meet a founder, then why waste both of our time? There isn’t much new under the sun: There aren’t many fundamentally new business models. So with a few exceptions, I already have a view as to what I want to invest in broadly. I am also focused on South East Asia, where I actually prefer (again generally) non-innovative businesses. Create a ‘dot’ to form a line: Every interaction, whether email, material, call or meet is a data point or ‘dot’. Over time these dots line up to form a view or ‘line’ of the founders and the business. Make a meeting or call productive: I like to get down to it, so if I am interested in investing and I know something about the business,s the time spent with a founder is productive. Focus on talking not researching: I want to focus my grey matter on responding and challenging what founders are saying. If I am distracted, such as reading your deck or researching competitors then you don’t have me, and that is a very bad thing. What do I do with decks when they are sent to me? I get a lot of decks and never have the time to read all the ones which are inbounded (I mainly reach out to companies actively). Founders need to understand that it is not rudeness and they aren’t special. If investors don’t reply, sometimes it is literally because their email didn’t get opened and it is stuck in a massive backlog. Understand this simple truth, and follow up a lot. I may not even read your carefully crafted summary email before double-clicking on your deck and firing it up. I press ‘down’ every 2 seconds to get 50,000 feet on what I am dealing with and to see if I close it. That’s a 15-second exercise. If I am interested a will skim through, focusing on what ‘appears’ relevant, skip anything which ‘appears’ boring or too intense and then that’s that. IF there is something I notice where founders are teaching me something, you have my attention and I will read the whole thing in detail. That’s pretty rare, but we invested in a company that did that. Email not interested and delete the email, or schedule a call. 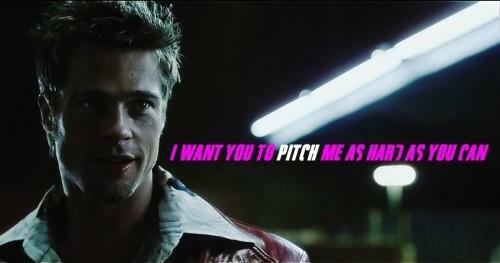 Regardless, I track pitches in a system and note whether I will follow up in future in case things change. Depending on how interested I am I will scan the deck again to refresh my memory of who and what I am about to talk about. I hate being inadequately prepared, so prep time is linked to how well I know an industry. Share it internally if I am interested after a call and see about having a meeting. At that point, I am really interested and any meeting is serious. I will circulate a deck to partners to get their view with a quick summary of our chat and a line stating whether we should push to get the deal done or wait to monitor traction. It is worth noting that for my fundraising process, I personally prefer to have a call before a meeting. I have a predilection to be amicable with people, so by having a call to review an opportunity purely on data and the founders intellectual ability to respond in active dialogue, without the opportunity for creating interpersonal bias, I believe is has the weighted advantage. Now let me be clear about what I do not do with decks. Other commentators mention experiences of founders having emotional responses to the treatment of decks, I will get frank on those. I am not being paid to read decks by founders and nor do investors have a duty of care to whom are most likely strangers having received an email. If that were the case, the spammed community would support more Nigerian princes with difficulties getting their money out of the country (Note: I have lived in Nigeria). I am an early stage investor so I don’t invest in a deck, per se. The deck just says something about the team who authored it. Later stage investors will more likely emphasize a deck as you will have hopefully large and validated numbers. They are investing in the continued upside, not a new idea, and the team is likely fungible. If someone sends me a deck it is confidential. If I am helpful and make investor intros, I actually ask for permission. Is your idea good or idiotic? Are you solving a real problem and will you be able to keep solving that problem whilst getting customers to pay you? Does your business have longevity; can you make barriers such as network effects? Is your solution awesome, or will it be with our help? Will you beat the competitions’ offers for your targeted market? Is your targeted market big enough to get an exit, or take a meaningful position? Will you be able to get a big exit for me to get a multiple? Do your team look incredible or at least good enough? If you are doing an enterprise data warehousing solution and none of the team have the experience I will pass. If you have Tier 1 company logos for your experience you get points etc. Does your team cover all the important divisions (otherwise state you need to hire). How much are you raising? Are you too early or big for us to invest? What countries are you focused on and is the timing right? In SEA if you only want to do one country, this doesn’t work unless there are exceptional circumstances. 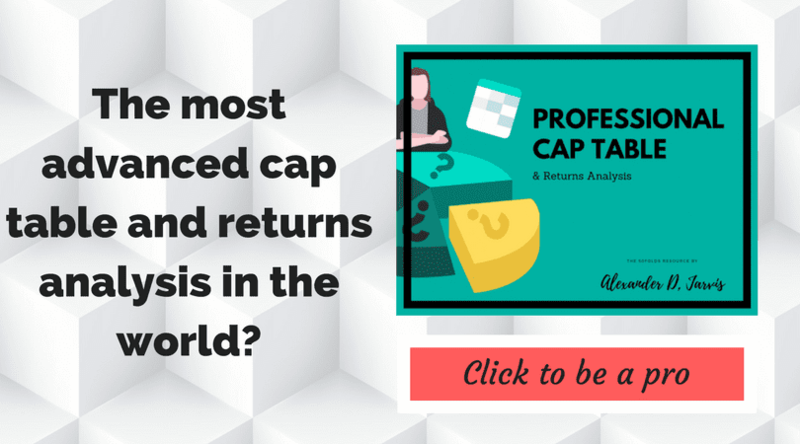 What is the competitive landscape like? Can you win and what will it take? If there is a #1 twice as big but they just got bought by a corporate that will mess it up, I am still interested. How is the market going to move, and how long? If timing is bad, then I will pass. How are you going to get big? Do you know how marketing is going to get you there? Do your unit economics allow you to shrink the market and take a large share, for example? For the length of time you have been operating, what traction have you got? Results divided by time matter. Does how it came to be we are in contact change my view? There are some arguments for not receiving a deck before a call/meeting in certain scenarios. Personally, I prefer a standardized process where all potential investments are addressed in a fair and consistent manner. There is a lot of art to investing, so where I can apply even a weak-form science, I think it is advantageous. Whether I get a cold call, referral, met someone at an event or even it is a friend looking for funding, I treat everyone the same. Yes, if friends reach out formally for investment rather than to meet up for advice, I insist on treating them the same way. If I am sent a nice summary email instead, is that ok? No. Yes, I would like a summary of the opportunity, in bullet-points, but I want the deck to be in that email. Do you think big enough, are you ambitious? Are these guys going to beat everyone? Do I want to win with them? I like to have a beer with nice, smart founders, but I want to invest in founders who will win. I want to focus on challenging founders to see how great they are. I only really start to care about whether I like founders and can work with them once they help me get past my ‘crocodile brain’, the ‘fear gatekeeper’. I can focus on rapport then and dreaming of the potential, how I can help them achieve it. If founders know I always want a pitch deck, then founders who don’t like sharing decks, won’t contact me or will adjust their pitch deck before sending to me. Either way, there are no situations I have to say ‘do or don’t, up to you’ which is not a nice thing to do. In many cases, it matters more who you know than what you know. It is always great to meet people and exchange ideas if you have the time. Tough, you need to sell and the quality of your pitch deck often links to quality of your product. In the Valley there may be a lot of tech only teams who somehow can make a beautiful product but not enunciate their business to VCs, but with my focus, I invest in balanced teams which can communicate not only to consumers but to me. If you are a founder looking for an investment from me, please respectfully send me a deck before you ask for a meeting. I am open to changing my view, but I have one at present. I think this is the idealized start to a fundraising process.